Real Gun, hole in wall, painted barrel. Revolver is part of an ongoing photographic series exploring traditional trompe loil painting techniques whereby a real element interacts with a painting. 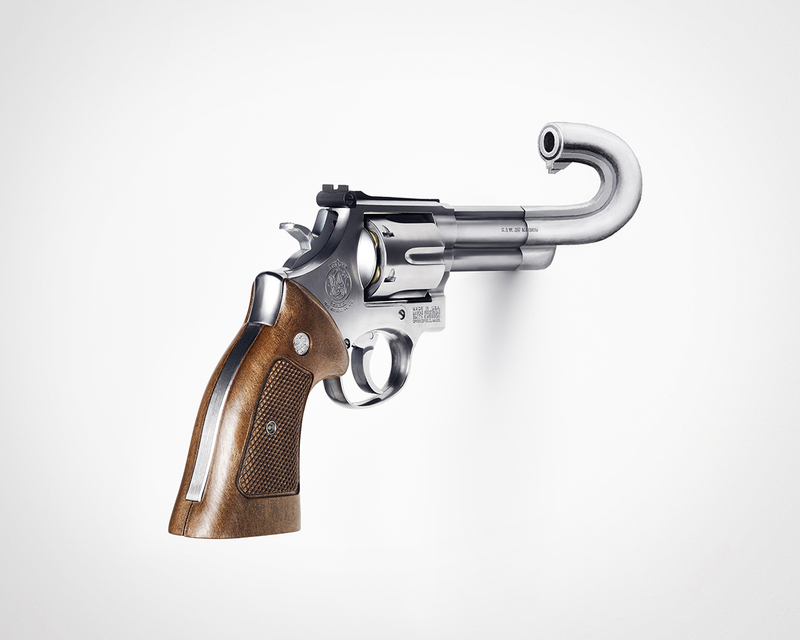 A gun which bends back on itself threatening it’s user seems at first alarming but considering the way it has been created it suddenly becomes funny.